As the developed world rebuilds the global financial system, the financial architecture in parts of the developing world is also being rapidly transformed. As the cost of mobile phone technology has fallen, and as the technology has been adapted to support financial services, mobile banking innovations have begun to spread across, and within, less wealthy countries. The low infrastructure cost and the widespread unmet demand for financial services in areas where numbers of people with access to banks is small, means that mobile banking has the potential to reach remote corners of the socio‐economic, as well as geographic, spectrum. Think of the developing world and the first thing that springs to mind probably isn't cutting-edge technology. Mobile phone technology has reduced communication costs in many parts of the developing world from prohibitive levels to amounts that are comparatively trivial. Nowhere has this transformation been as acute as in sub-Saharan Africa, where networks of both fixed-line communication and physical transportation infrastructure are often inadequate, unreliable and dilapidated. And, while mobile phone calling rates remain high by world standards, the technology has allowed millions of Africans to leapfrog the landline en route to 21st-century connectivity. Early on in this revolution, cellphone users figured out that they could effectively transfer money across wide distances. Mobile money transfer allows those without a bank account to transfer funds as quickly and easily as sending a text message. Phone companies have long allowed individuals to purchase airtime and to send this credit to other users. It was a small step for the recipient user to on‐sell the received airtime to a local broker in return for cash, or indeed for goods and services, thus effecting a transfer of purchasing power from the initial sender to the recipient. Kenya has been leading the way with an innovative system that has transformed the lives of millions of people and businesses in east and central Africa. In March 2007, the leading cellphone company in Kenya, Safaricom, formalised this procedure with the launch of M‐PESA. M-PESA (‘M’ for mobile and Pesa is Swahili for money) is a mobile-phone based money transfer and micro-financing service. Perhaps the most developed mobile payment system in the world, M‐PESA allows individuals to deposit, send and withdraw funds using their cellphone. Today, most people in Kenya and East Africa can pay their bills, do shopping and make banking transactions using this service. M‐PESA has grown rapidly, currently reaching approximately 60% of Kenya’s adult population, and is widely viewed as a success story. It is now being emulated across the developing world. M-PESA has since been extended to offer loans and savings products, and can also be used to pay salaries or bills, which saves users further time and money. In addition, the availability of a reliable mobile-payments platform has spawned a host of startups in Kenya and east Africa whose business models build on M-PESA’s foundations. M-PESA is also starting to do well in other countries, including Tanzania and Afghanistan, and recently it launched in India. At the same time, operators in some other countries are doing an increasingly good job of imitating it. The scheme was originally designed as a system to allow microfinance-loan repayments to be made by phone, reducing the costs associated with handling cash and thus making possible lower interest rates. But after pilot-testing it was broadened to become a general money-transfer scheme. Cash can thus be sent one place to another more quickly, safely and easily than taking bundles of notes in person, or asking others to carry it for you. This is particularly useful where many workers in cities send money back home to their families in rural villages. Electronic transfers save people time, freeing people to be more productive with their time. 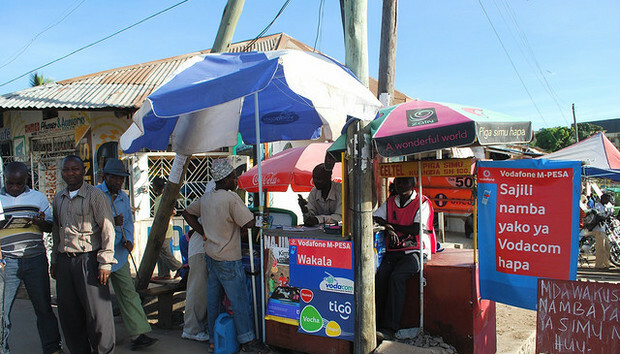 Dozens of mobile-money systems have since been launched and while Kenya did not pioneer mobile money transfer, it showed the world how to do it right. Born in Kisii, Kenya, Mogaka Frank Ongoto is an experienced technical writer who is currently taking his MSc. Degree in Molecular Biology after his first degree in IT.